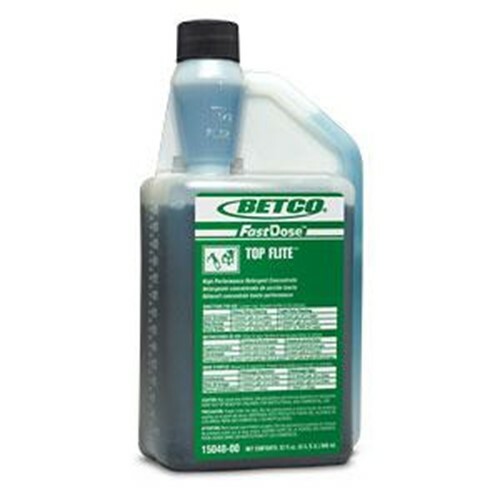 High performance detergent concentrate. Developed as a result of years of research, this cleaner will outperform many all purpose cleaners on the market today. The perfect choice for any cleaning task, this product has low toxicity, is nonflammable and noncorrosive. Extremely effective in hard water. Great for mop and bucket, spray, sponge, or automatic scrubber uses. Clean and deodorize practically any water washable surface. It will not streak, film, or dull surfaces. Suspends the toughest soils and keeps them from redepositing in the surface. Formulated without butyl or inorganic phosphates, this detergent will not harm most surfaces.